Brands can now gain deeper insights into the performance of their Twitter Card tweets, thanks to a new analytics offering from the social network. A variety of brands across the Web leverage Twitter Cards to make their tweets more engaging with rich media like images, videos and content previews. Now, those brands can learn how those rich media experiences resonate with their audience thanks to the new analytics for Twitter Cards dashboard. 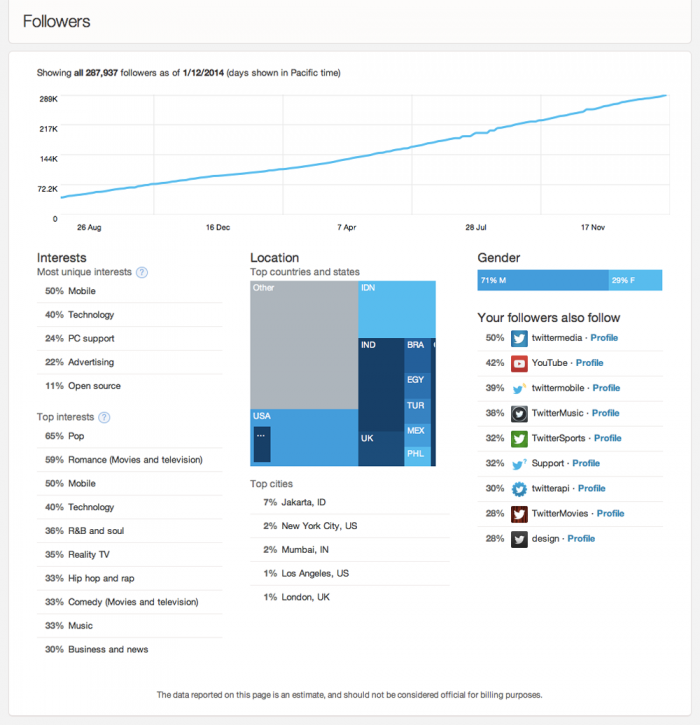 It is also important to note that users will be able to access two other types of information with the Twitter Card analytics dashboard. For starters, users can view how audience members are engaging with their tweets. In addition, users will be able to view who their followers are and the rate their audience is growing. This will help brands identify spikes in follower activity, which can be compared with the amount of content a brand is posting. According to the social network, analytics for Twitter Cards is currently being rolled out, which means that Card users and advertisers should obtain access to the dashboard over the next few days.